When it comes to getting things done efficiently, apps like TaskRabbit and Elance have become go-tos for lots of individuals and businesses alike. And today, TaskRabbit has turned its focus to getting those tasks done super-fast, with its new real-time offerings. 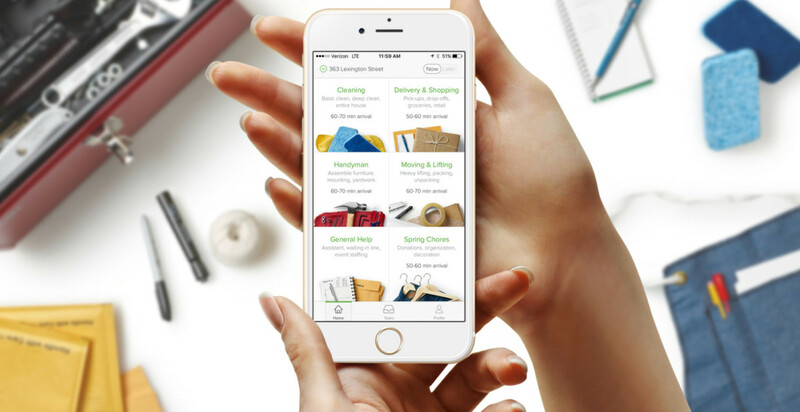 The updated TaskRabbit iOS app will now match its users with Taskers in 5-minutes or less and all tasks will be carried out within 90-minutes. You can still pre-book your tasks in advance, but the new option means you won’t have to panic if you’ve left something to the last second or forgotten all about it. As well as updating its offerings, the iOS app has got a new sleek design. The home screen now shows you what tasks can be completed instantly or later, and the newest additions include spring-cleaning and general help. There is also a new button that allows you to toggle between tasks you want done now or ones that can be scheduled for later. TaskRabbit was one of the first on-demand services for freelancers of every type to work from and has slowly evolved since its launch in 2009. It was originally an auction-style platform, where people could bid on tasks and eventually that pivoted into freelancers giving their hourly rates instead. Speeding up the service again to provide instant task fulfilling is a natural evolution. While offering immediate task completion is undeniably a benefit for TaskRabbit’s users, it’s also beneficial for the workers who use the app to make money. It means they can now rely on the app to generate income in the immediate, rather than hoping a task will come in for the future. Although, there are still some tasks that will prove difficult to complete within the timeframe, like the ever-confusing assembly of IKEA furniture. Good luck with that one, Taskers. The pressure to get to a task within the new limited timeframe could also prove to be a strain on workers though and means it’s more important than ever for them to be particular about the reliability of what they can offer within the allotted time. The new real-time service is only available to iOS users right now. The company has said it will be available on the Web soon too but there is no word on when it will be coming to the Android version of its app.